At one time quilts were born of necessity- keeping families warm and comfortable on cold nights. As time passed and more materials were available, the quilts became cherished heirlooms. Barn Quilts are much the same- they are a statement, a symbol of identity whethere you are a traditionalist or prefer a more modern twist. Join Renee in recreating a 3’x3′ Quilt Square of your own. 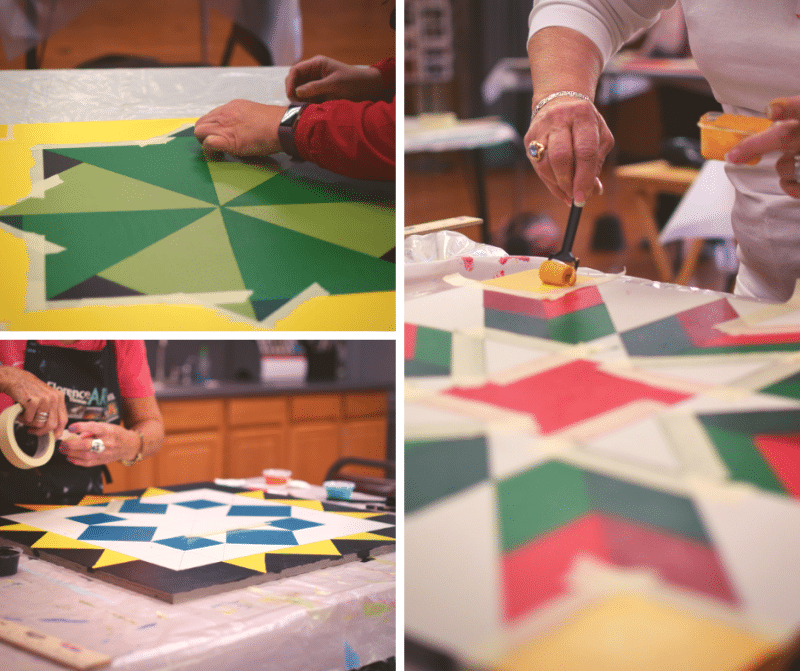 Day two (10 am – 1 pm) is an open studio time for those that need to finish their quilts.